n times of crisis econonomica the holiday on a farm might be the solution for your wallet. Divina Toscana has identified some of the cheapest holiday in Tuscany with excellent value for money. Some basic rules to spend less without sacrificing holidays. 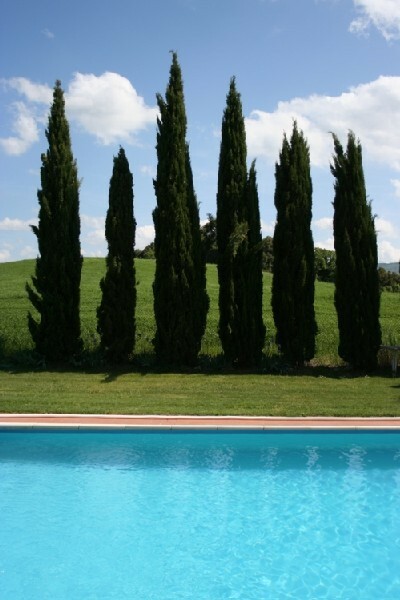 Of fundamental importance is the choice of resort in Tuscany. Based on the areas in which you choose to stay you can find cottages from 500 euros per week to farm from 2000 euros per week. 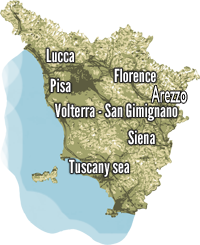 The areas near Florence and Siena are certainly the most quoted, so it is easier to find in a 4 star resort and relay facilities and farm-level average higher than the other provinces of Tuscany. Choose least-known places away from the cities of art could save you a lot of money to extend your vacation. But you must be willing to make pleasant 1 hour drive to major cities. One of the cheapest places in Tuscany is the Val di Cecina (between Volterra and the Etruscan Coast) where you can easily find apartments for 4 people to about 700 euros a week, these are small farms with pool managed by the owners for this reason they can still keep costs low. Given the cost of the proposals and the excellent value for money it is advisable to book early for the summer season. The farmhouses in Tuscany usually offer two alternatives: the rooms with service B & B , self catering apartments. In both cases you can find economical solutions to a good standard. Take into consideration the type of holiday you want to spend. The choice of B & B service necessarily involves dinner at the restaurant of the same farm or in the taverns of the many Tuscan towns. In budgeting is essential to take into account spending on lunches and dinners that could affect the overall cost of the accommodation itself even more. Keep in mind that the breakfasts inside the farms are usually very abundant, based on home-made jams and homemade cakes, many farms also can request breakfast with salted meats and cheeses. The choice of apartments on a farm is certainly the most advantageous from an economic standpoint, especially for large families. The holiday apartments allows you to save money without sacrificing comfort. Usually the apartments on a farm have verandas and outdoor dining area open, and are usually equipped with a barbeque. When you choose the service they ask if farm B & B and restaurant. Many farms with apartments also give the service of breakfast and dinner on request. Outdoor spaces, garden and pool area are of prime importance in the selection of your farm, keep in mind that most of the time they spend outdoors! Tips and advice without any no added expense!